What level of devotion has the ability to stand unwavering through the journey of time? What sort of loyalty and thirst for justice allows one to give the ultimate sacrifice? What sort of courage prepares one to look death in the eye and not falter? All these inquiries are answered in the life and death of one person: Mohsen Hojaji. 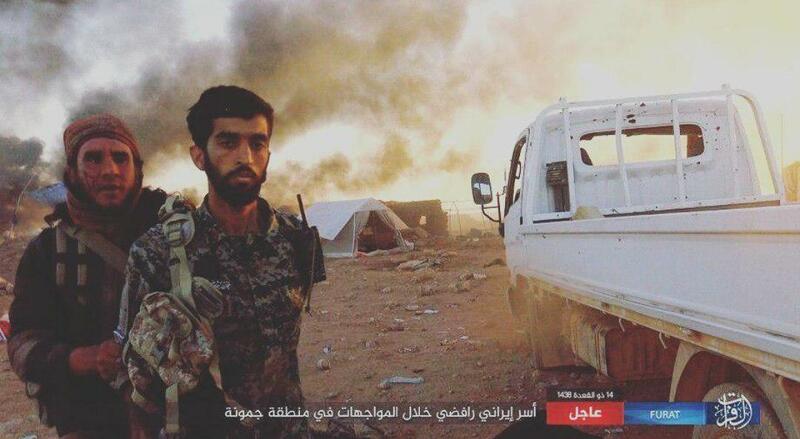 Hojaji was a 25-year-old member of the Iranian Revolutionary Guard Corps (IRGC) who was brutally beheaded and mutilated by ISIS on August 9th of this year. The video of his murder was uploaded on several ISIS-run social media pages in order to spread their propaganda. However, it had another effect as well: it spread the undeniable courage and strength of an individual, inspiring many to follow in his footsteps. The fight against ISIS has been fought for many years now and, as a result, many people have died fighting this infectious group. But what was it about him that made thousands of people flood the streets of Tehran to farewell his body? A major factor that fuelled Hojaji’s intolerance for injustice was his unwavering admiration toward Zainab binte Ali: a revolutionary woman from the 14th century. She experienced significant hardship throughout her life, with her brothers, sons, cousins and other family members killed in the battle of Karbala — an event remembered as a battle between justice and injustice. After the battle, along with the women and children of her family, Zainab was paraded in the streets in chains and shackles, humiliated in front of the entire city. It was in this moment where Zainab stood in the courtyard of Yazid (the man who massacred her family) and, despite how powerless she may have felt, spoke with such eloquence and courage that her words have been credited for the downfall of his tyranny. The legacy of bravery and defiance she left behind still inspires many upon the same path today, such as Hojaji. To the likes of ISIS, such a powerful symbol is seen as a threat to their acts of oppression and wickedness. This is why they mercilessly attack the shrine of Lady Zainab, thinking they can make a statement against her legacy and against those who seek inspiration from her. Hojaji was described as a man who loathed injustice. He worked with local youth to motivate them to be defenders of the oppressed, to lend a hand to the marginalised, and to be politically aware in order to establish right from wrong. His opposition to Zionist imperialist forces has been documented in his will and in his actions throughout his life. This is the character we need to display in today’s era, as corruption and hatred are rampant throughout the world. Gone are the days where we nurtured political awareness only within ourselves. This social outlook of fighting injustice is reflected in his will. He intentionally takes out space to address the general community and leaves them with instructions to progress morally, politically and spiritually. Through the manner in which Hojaji conducted his life, and specifically the way in which he approached the struggle for justice, is a lesson for us all to stand our ground and give a voice to the voiceless. Although we do not face these injustices first hand as Hojaji did, we do live in a society where we are constantly exposed to injustice. In these instances, we need to develop the courage of Hojaji and stand defiant in the face of oppression, “like a mountain.” We need to have the confidence in our convictions and refuse to bend down, even when it seems the odds are against us. By killing Hojaji in such a brutal manner, they aimed to weaken the spirits of justice-warriors. Instead, due to the personality of Hojaji and the legacy he had established, this act served as an instigator for determination, courage, and strength among those aiming to combat injustice. The flame that Hojaji lit in the hearts of millions continues to grow. It is our duty to give air to that flame, brighten our paths with the light it provides, and pass the torch to every other person until the day where we achieve true victory over oppression and despotism.